Carleigh was born and raised in Raleigh, NC. She graduated from Clemson University, where she obtained her Bachelors of Science degree in Public Health Science, with a concentration in Health Promotion and Education. She then moved across the state to Charleston, SC to attend The Medical University of South Carolina. She graduated with honors, received her Masters of Science in Occupational Therapy, and completed a fellowship in Inter-professional Education. 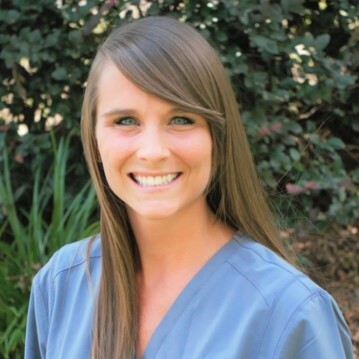 Carleigh serves as one of Tri-County Therapy’s Lead Occupational Therapists in the Charleston area. Carleigh has an unwavering commitment to the pediatric population and their family’s, teachers, and caregivers. She has experience working with pediatrics in both outpatient clinics and in natural environments, such as homes and schools. Carleigh’s academia and past experience have fostered a unique passion for helping children grow and develop fundamental skills throughout the lifespan. One of her favorite quotes, as it relates to the field of occupational therapy, is, “Nobody can go back and start a new beginning, but anyone can start today and make a new ending.” She has a special interest in working with children with neurological conditions, sensory processing disorders, developmental delays, and feeding difficulties. Carleigh has completed continuing education courses in feeding and sensory integration. In her spare time, Carleigh enjoys spending time with family and friends, going to Clemson football games, riding her horse, Chance, and taking her dog, Riley, to the beach.